Taking MRT in Kaohsiung also do recycling. 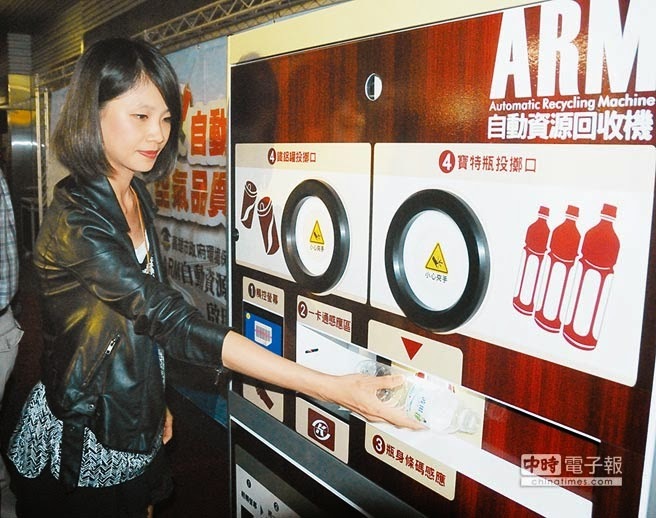 EPA Kaohsiung designed the first "automatic resource recycling machines" in Taiwan. 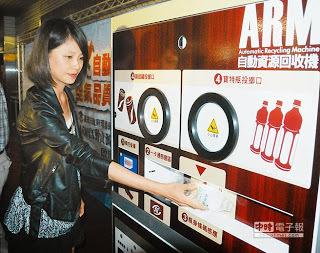 The public can insert empty PET bottles, aluminum, iron cans into the machine in the MRT station and the refund will refill in the travel card automatically. The city mayor Chen Chu demostrated the recycle process in person and said the refund will only refill in the travel card, that means we encourage the publics taking the MRT ar rent the bike. The ARM system can improve the convenience and efficiency of recycling, and it is the symbol of the progress for the city.